ROY MIRANDA’S . . SUMMERY, BEACH-Y SWEET & MAGICAL . . SELF PORTRAIT !! 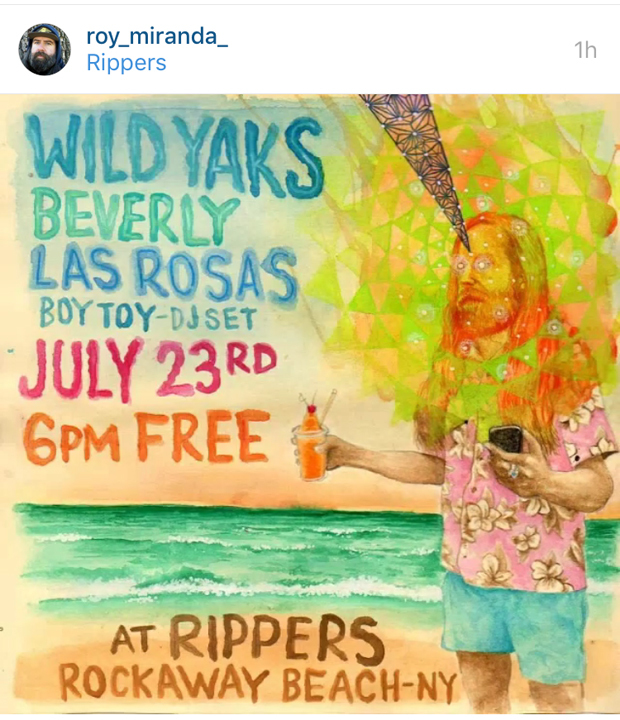 on a new flyer for the WILD YAKS . .
ROCKAWAY BEACH PARTY – AT RIPPERS – TODAY – SAT JULY 23, 2016 / 6 PM – FREE. “GONNA BE A – SIZZLER” – !!!! ~ WILD YAKS !!!! let the good times roll children of summer . . Rockaway Beach Queens New York USA.